Zhen Lang and Gu Jing have been childhood enemies for over twenty years and pretend best friends in front of their parents. Zhen Lang and Gu Jing’s source of happiness is defaming their enemy (each other) at every opportunity, dreading the day their parents’ match-making dream comes true. 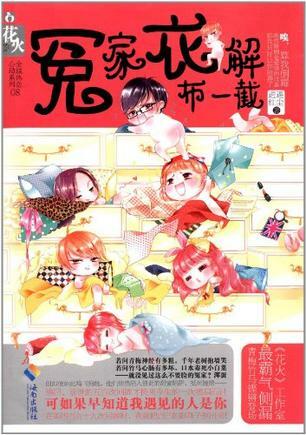 Translation is good, short stories part is cute but overall the sttory is ok. The story humour didn't appeal me it's kind of dry for me. On thing that in the whole series herione seems strong from the outside, in reality she is very vulnerable, slow, dumb, and sort of idiot. Hero is a blackbelly, one good thing about him he knows what he is doing and what he want but he is too manipulative and cunning he know very well how to use herione and get her on his side. I never thought my first time writing a review would be because a story annoyed me too much. So many people say that this story is fluffy and the whatnot, and normally, I would agree. I don't tend to think too deeply about the logic and reasoning behind a story, so I'm easily pleased. A cute romance where the dedicated and caring male lead Zhen Lang slowly woos his childhood sweetheart, the dense and fiery female lead Gu Jing, although they’re at odds due to misunderstandings in their past. However ZL’s dedication is clearly shown through his actions... but less so through his words. There’s not much of a plot, aside from the male lead shadowing the female lead throughout her dates and adventures while the two bicker and tease each other. Slowing improving her impression of him, but also manipulating her to further... more>> their relationship. While there’s no obvious declarations of love, or heartfelt discussions between the two, there’s no doubt that the feelings are genuine and they clearly care for each other – although the female lead is a little slow. Her personality is also quite likeable. but the ultimate objective of romance is for the couple to end up together so anything else is secondary. Adorable novel! I swear, novels like these skyrocket my standards for men. Why aren't guys like Zhen Lang?! 😭 Great read though! MC is a muscle head and leading guy is just the sweetest guy ever! I found this story really annoying. The ML was manipulative to the nth degree and it really put me off. The FL was really dumb and was like a puppet in his hands. the ML has a martial arts expert and even stronger than the FL. Why was that necessary? Why couldn't she protect him without the author ramming his superiority down our throats? The writing and translation were good but that was it. I Love it. Cute, Funny, and a bit crazy. Sometimes the MC drives me crazy her attitude and personality. She's adorable, funny, naive, childish and a blockhead. The Female Lead is too shameless, has a bad temper, is violent, lying, scheming, stupid, all brawn and no brains, what's to like about her...I seriously can't think of a single good point. I can't anymore. That psychopath of a woman trashed all rooms in his house, breaking tv's, tables, chairs, everything because she believed he did sth he didn't do. And that masochist actually felt lucky she didn't physically assault him as well. What's wrong with the author and the readers? but apart from that, it still was a great read, funny with little to none angst..
My concealing abilities are too effective!